The raven is a timeless classic story by Edgar Allen Poe. 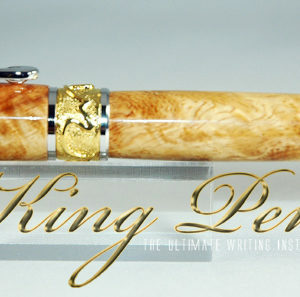 To commemorate this great piece of work, King Pens has created The Raven Pen. 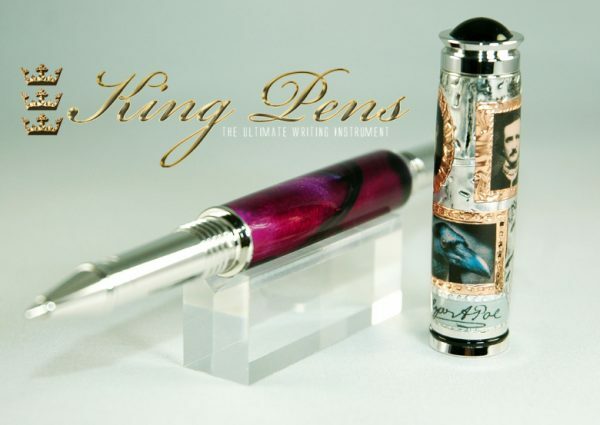 This beautiful Rollerball pen is made from Acrylic and features three portraits, one of the writer himself, Lenore and of course, The Raven. 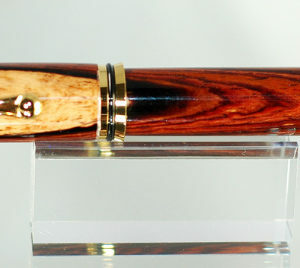 There will only be one of these made. The raven is a timeless classic story by Edgar Allen Poe. 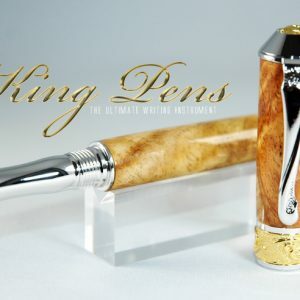 To commemorate this great piece of work, King Pens has created The Raven Pen. 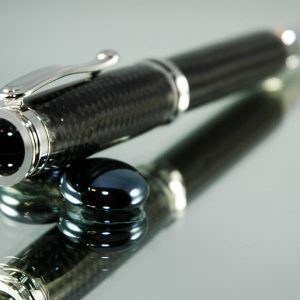 This beautiful Rollerball pen is made from Acrylic and features three portraits, one of the writer himself, Lenore and of course, The Raven. 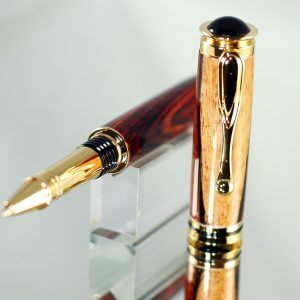 Each portrait meticulously framed against a steel brick background and the authors signature at the base making this a true one-of-a-kind pen which will not be made again. The body of the pen is done in a gothic purple acrylic to further add contrast to the piece. 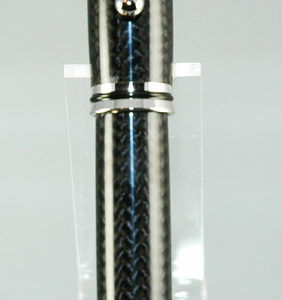 The hardware is Rhodium. 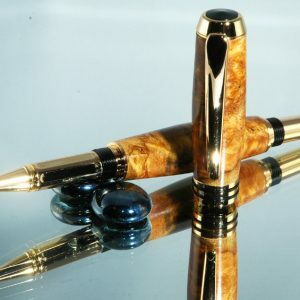 This pen is 1 of 1.